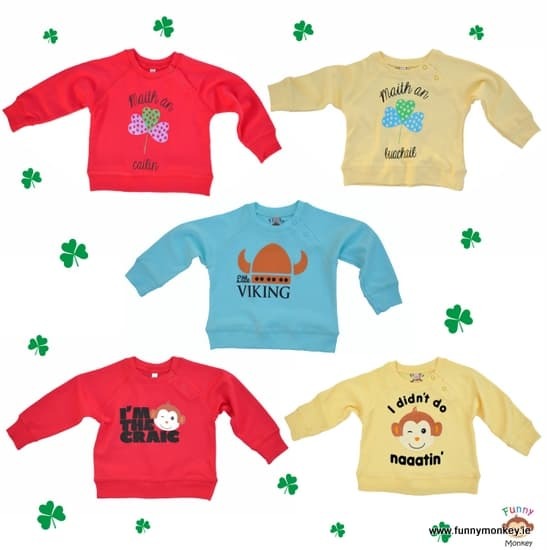 Funny Monkey is a cute new line of Irish themed clothes for little ones. Today I’m delighted to introduce you to this fabulous fashion line for young kids. 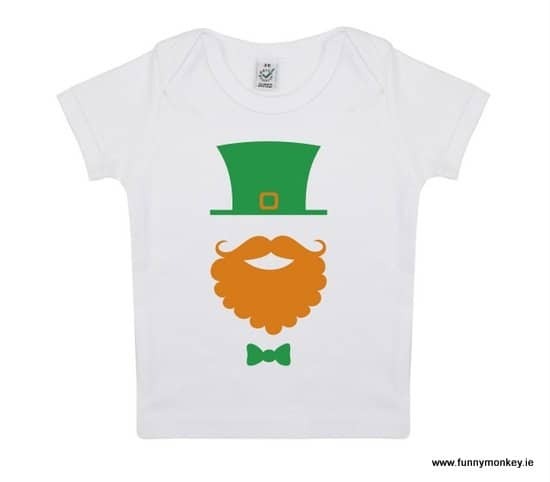 When the creator of these fun products tried to buy a gift for her newborn cousin she thought some of the Irish themed choices were not very unique. So guess what she did! 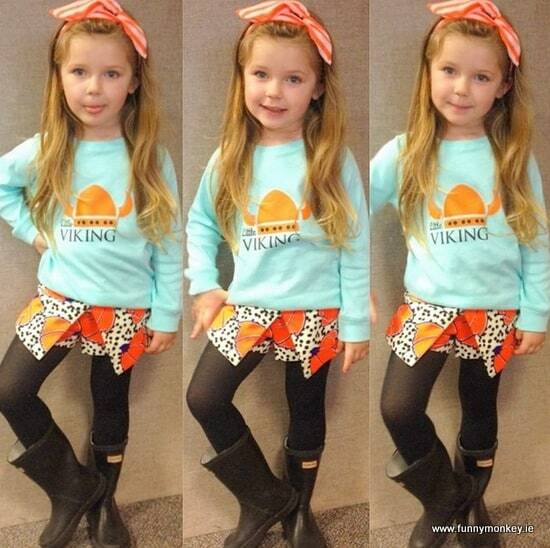 She set up her own company and designed some of the cutest little sweat shirts for today’s Irish kids. And today she is sponsoring a giveaway for one of Irish American Mom’s readers. But first let me hand you over to her for a quick review of her products and company philosophy. 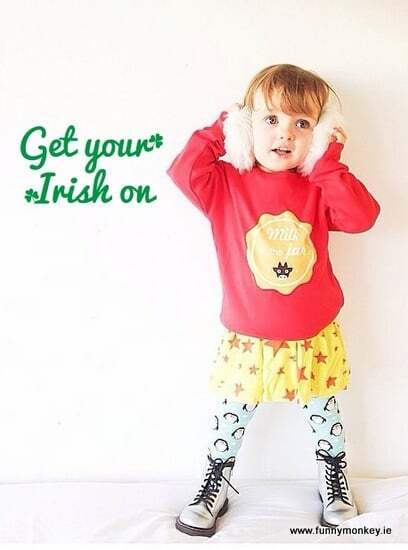 Funny Monkey is a new Irish brand of clothing for babies, toddlers and kids all over the world. Our garments are all made with 100% organic cotton and they are designed and printed in Ireland. We are based in Galway but we ship our fun products worldwide to spread Irish pride everywhere. 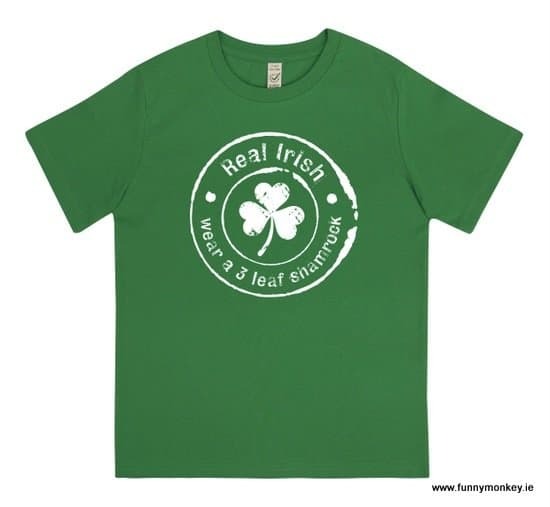 Funny Monkey is all about Irish culture, Irish people and having fun. We are extremely focused on creating the best quality products, at an affordable price. Our first collection has 7 designs and each design has 3 different bright colors: Mint, yellow and red. Cliché Irish clothes are not enough for us. We are original and organic! Let’s do it “Irish”… just for the craic! The good folks at Funny Monkey have graciously sponsored a prize for one lucky reader. To celebrate St. Patrick’s Day they have created two limited edition T-Shirts. The St. Patrick’s Day line is made with 100% organic cotton. The sizes of the green tees are 3/4 years and 5/6 years. The white T-shirts come in sizes 3-6 MONTHS, 6-12 MONTHS and 12-18 MONTHS. One lucky winner will receive one St. Patrick’s Day T-Shirt in a child’s size requested from the choices above. To enter our giveaway just leave a comment on this blog post by noon on Wednesday, March 4th, 2015. 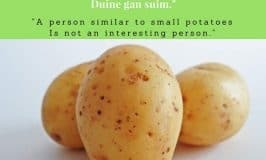 You can leave any comment you wish. What you write does not affect your chances of winning. A winning comment will be chosen randomly. Remember to leave your e-mail so we can arrange to have your prize delivered for St. Patrick’s Day. Your e-mail won’t be published or shared, just used to make contact. The winner will be announced on the evening of Wednesday, March 4th, 2015 and the name shared at the end of this post. 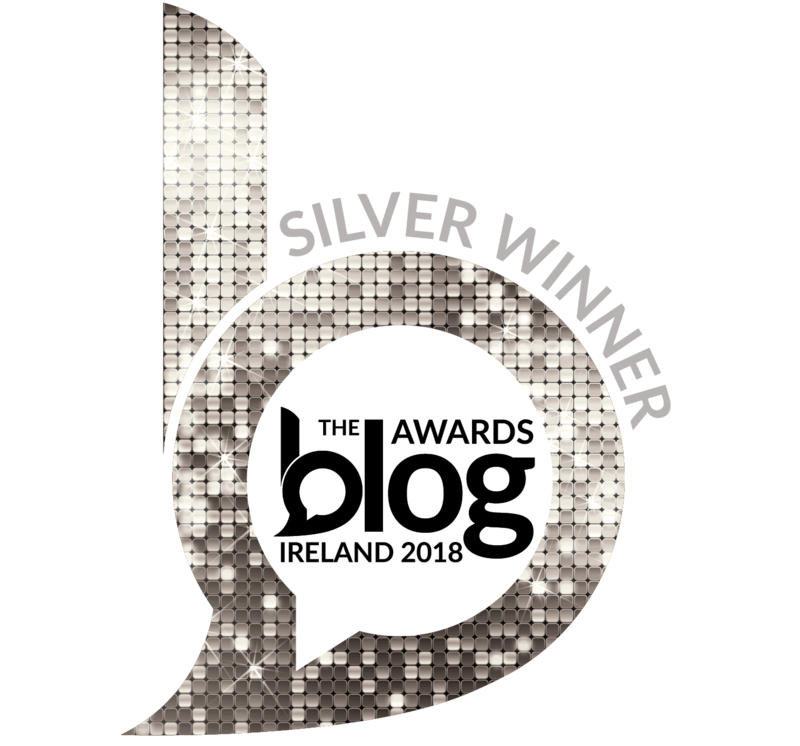 Best of luck to all our entrants and a big thank you to Funny Monkey for sponsoring a fantastic prize for Irish American Mom’s readers. I really appreciate their generosity. Congratulations to Patricia, who is our lucky winner. And a big thank you to Funny Monkey for sponsoring this wonderful prize. Wishing them every success with this wonderful business. at the checkout until next Wednesday, March 11th, 2015. Disclosure: Irish American Mom does not have a business relationship with Funny Monkey. I receive a sample product as part of the review process. No cash payment was received for publishing this giveaway post. 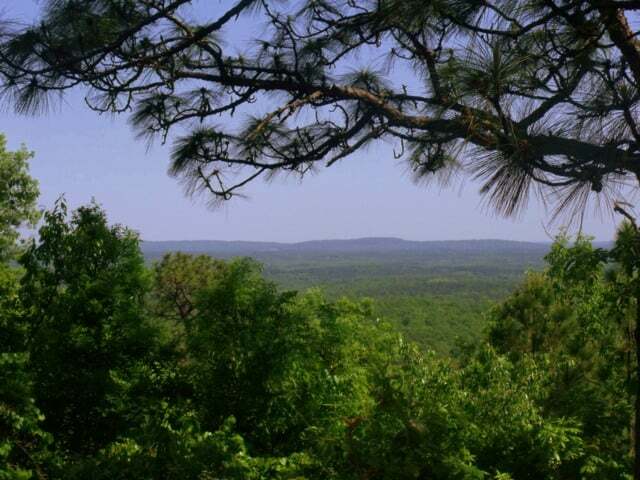 I love to help spread the word about small home businesses, artists and crafts people. Thank you to all who support these wonderful Irish and Irish American business enterprises. Images published with permission of Funny Monkey. Very cute shirts! Nice to see something different and more authentic! Best wishes to Funny Monkey! Your things are adorable! If I could only be a kid again! I liked the one about craic and the one, “I didn’t do nothing “or something like that. I was the oldest brother and my dear brother got the worse of it. I would love to have head that shirt when I was a kid about not having done something I shouldn’t have done in the first place. Great shirts! Love them all, received this in my email. 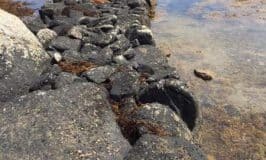 Love your site, Thank You…. Such a darling clothing line. My niece would look adorable in the 3 leaf clover shirt. Really cute clothes. i don’t normally wear any green on St Patrick’s Day, unless I can get my hands on some shamrock. 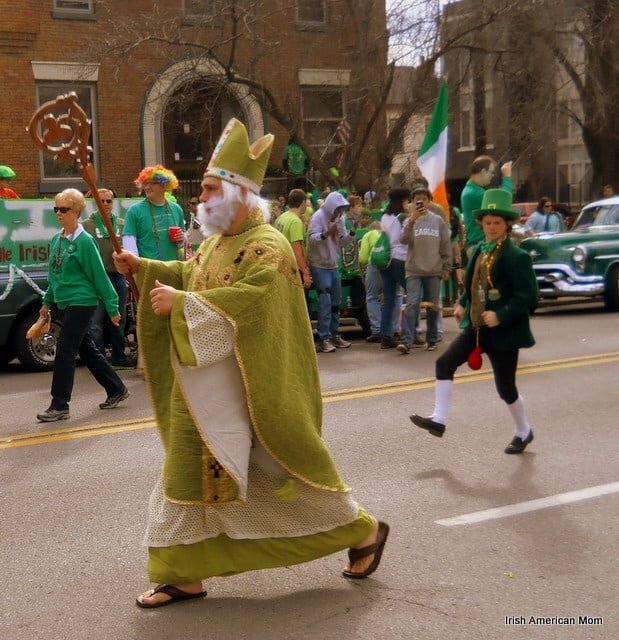 On the other hand when we head to the parade its head to toe in green – silly hats, rugby jerseys, scarves etc, especially the kids. This new line looks adorable! I will be checking it out for new baby gifts! My girls dress in shamrocks all year round! What a lovely giveaway 🙂 It would be so nice to win! Thanks for this awesome giveaway! 🙂 I love this brand! My 5 years old son has Irish ancestors… the T-shirt would be great for him! I like to wear my authentic Irish LFR (Live For Rugby) shirt that I bought in Ireland a few years ago. Slainte! Tom – Here’s hoping Ireland win the Grand Slam this year. They had a great victory over England today. Thanks so much for entering this little giveaway. I love the monkey! My sister in law loves to celebrate on St. Patricks Day. Those shirts are too cute!! Their products are adorable and I love that they are organic! I love the “real Irish wear a 3 leaf shamrock” shirt. I would love to win it for my cute Irish lad! Thanks for the giveaway! Super cute. Love the shamrock shirt! Oh such cute clothing! And definitely something I’d be happy with my babies wearing!